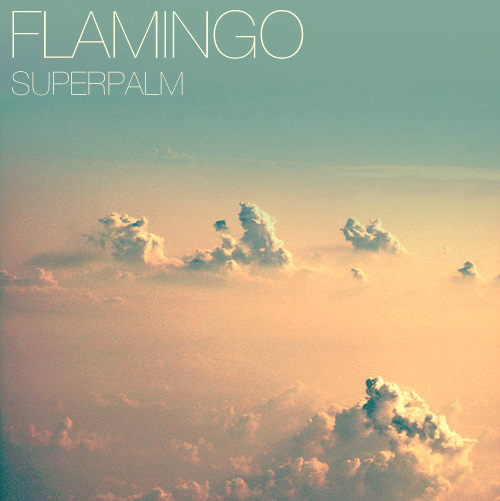 “Flamingo is not a solo project, it is the clearest example of an individual who can not adapt”. Debut EP for young and promising producer Flamingo, who someway blends infectious chill tunes with alien spacetrippy sounds. Dumbo Gets Mad is helping the groove in track #3, Brown Lighter. Enjoy! I live in Rome with my friend Venice for one year. I had a bbq just yesterday… still full of meat, I can’t even breathe now! I collect BIC brown lighters; I buy every single lighter i see. That’s why I called one of my song “Brown Lighter”, because I got about 25/30 lighters, I’m mad for them! Can’t make a choice between The Big Lebowski and Fear and Loathing! I love them the same. The City of Your Final Destination by Peter Cameron, my favorite book at all. Which song do you listen when you wake up? I’m not a routine man to be honest, some days I listen to my song just to check them, but for example these days I listen to The Calling (MKII) by Death in June, they’re incredible. A song you wish you wrote yourself? Breadcrumb Trail by Slint very meaningful track. The song to be played at your funeral? Old Man by Neil Young, i’m already crying. A song for relaxing on a beach? Talco Uno by Jollymusic, da paura! Passing Afternoon by Iron and Wine, is just chilling time, veeery relaxing. http://www.deathinjune.net/ seems a little bit nazi, but it’s not, I can assure it! What do you think about music industry? Music is moving increasingly towards digital, labels like Bad Panda are the examples; I’m honest I (used to) buy CD’s but for example, I know people that are still buying vinyls, but I think buying music on line, even download it for free is the best way to listen to new music every day; on the other hand the business around music is sick and music itself is going to be less and less original year after year! Hoping a new 70! Best place to chill is coffee 137 in Dam. Santana when I was 11, with my father! Münich, Germany and my house. In the best place to chill, Coffee 137 with my girlfriend, peace.